If you’re tired of cleaning debris and clutter out of your gutters and are looking for a way to protect them without a huge financial investment, you may choose to install gutter guards. Although your first choice will be which gutter guard products to choose, you will also have to choose a gutter guard installer; many manufacturers require installers to operate out of a dealership or franchise in order to represent the product or company. Because of this, most installers from your pool of choices will also offer you different products. We encourage you to do your research before choosing a gutter guard installation company in your area. Along with reviewing your options online for gutter protection products, we also suggest that you attend home shows and view samples of each product in person before making your final decision. Choose from products with proven track records from established companies to decrease your risks and ensure that you get the protection you need. You can also contact the manufacturer directly to determine the warranty for your chosen product and how the installation is warranteed by the company. When reviewing any warranty, be sure to read the paperwork thoroughly. Some installers will only warranty your product and installation if you maintain the protection system regularly. Neglecting the system may void your warranty and force you to install an entirely new system. If you have questions about your warranty, don’t be afraid to ask the installer. If your warranty requires you to maintain your system, ask for specifics regarding what is expected of you as the homeowner. Always read the fine print and receive answers to your questions before any work is performed. 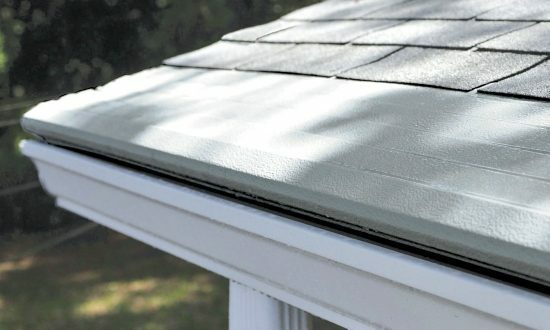 Gutter Helmet’s patented design offers a valuable and unique tool to homeowners who want to install gutter protection. With Gutter Helmet®, you’ll enjoy the increased aesthetic value, convenience and cleanliness that are offered by Gutter Helmet® alone. 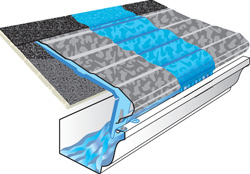 Call us today at 800-824-3772 to discuss your gutter protection options. We can help you locate a dealer and installer in your area to provide you with the best product for gutter protection around. With over 30 years in business, we’re America’s #1 choice for gutter protection.